When a tremendous spacecraft took orbit around Earth’s moon and began sending smaller landers down toward the North Pole, the newly arrived visitors quickly set up a permanent spaceport in Siberia. Their presence attracted many, and a few grew conspicuously rich from secrets they learned from talking to the aliens. One of these men, Rick Schumann, established a tavern catering to all the various species of visiting aliens, a place he named the Draco Tavern. From the mind of best-selling author Larry Niven come twenty-seven tales and vignettes from this interplanetary gathering place, collected for the first time in one volume. 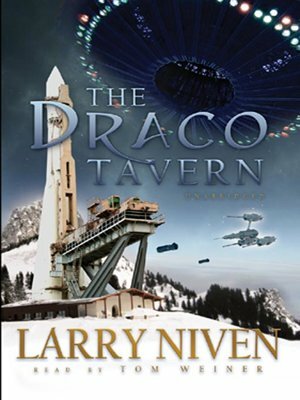 Join Rick and his staff as they chronicle the seemingly infinite alien species that spend a few moments pondering life and all its questions within the Draco Tavern.